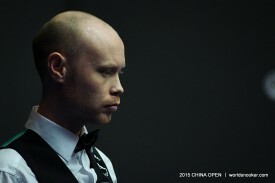 The 2019 XingPai China Open ran from April 1 to 7. Neil Robertson won the title, beating Jack Lisowski 11-4 in the final. In 2018 it became the only snooker event other than the World Championship to hit the £1 million prize money mark, thanks to a new four-year agreement between World Snooker and promoter Star Xing Pai. Mark Selby won the 2018 title, beating Barry Hawkins 11-3 in the final, taking a top prize of £225,000. The total prize fund of £1 million almost doubled the 2017 China Open total of £510,000, when the top prize was £85,000. The £225,000 winner’s cheque is only topped only by the World Championship first prize of £500,000. The event is televised by CCTV, Eurosport and various other broadcasters worldwide. The China Open has been staged in the country’s capital every year since 2005. Ding Junhui won the title that year as an 18-year-old, helping to spark a surge of interest in snooker in China. Since then top stars including Judd Trump, Neil Robertson and defending champion Mark Selby have lifted the trophy. 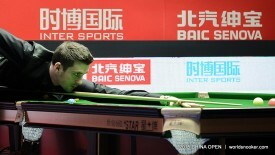 Rob Walker's Backstage Tour at the China Open!